The fact that you can still buy a brand-new, rear-engine, opposed-piston Porsche 911 today is just about entirely due to one man: Peter Schutz. 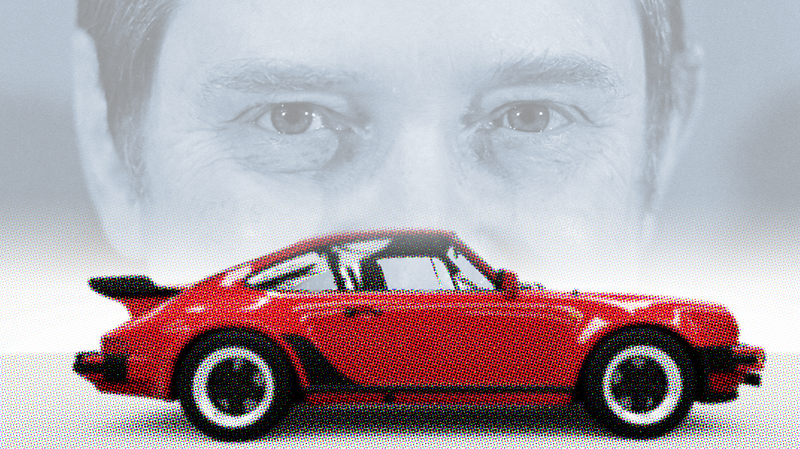 Schutz was Porsche’s first American CEO, and arguably saved the company in the 1980s from their own misguided decisions that would have destroyed their iconic cars and heritage. Schutz died over the weekend, at the age of 87, according to German media and Ray Shaffer, manager of the Porsche Classic & Delivery Center. Schutz did not get an easy start in life; when he was born in 1930 in Berlin, Germany things weren’t going so well for Jewish families like his. By 1937 he and his family were forced to flee to Havana, Cuba to escape the Nazis, and later relocated to Chicago, where Schutz would eventually go on to get a degree in mechanical engineering. Schutz began his career at Caterpillar Tractor, and later moved to Cummins Engine, where he was quite successful, only leaving when his decision to give a speech at the 1976 Teamsters convention was questioned by the management at Cummins. Around 1980, he was personally invited by Ferry Porsche to apply for the position of Porsche CEO. Nineteen-eighty was a lousy year for Porsche, their first money-losing year ever. There were a number of reasons for this—quality control issues in the 911, and buyers, especially American buyers, weren’t as excited about the new, modern, front-engined Porsches, the 924 and 928, as Porsche was hoping they would be. On top of all this, the venerable 911—the Porsche with the clearest ties to Porsche’s engineering heritage and character—was set to be discontinued in 1981. “Do we understand each other?” I asked. And with a nod, we did. So, the legendary Porsche 911 was saved by one man drawing a line on a wall with a marker. That’s the real impact of what Schutz brought to Porsche: the knowledge that sometimes a less-than-purely-rational decision is the right one. Was the 911 a temperamental car based on outdated technology, especially when compared to a 928? Sure. Was it also one of the most character-crammed, rewarding and fulfilling cars to drive? Hell. yes. Does that feeling sell cars? Damn straight. I don’t think it’s overstating things to say that Schutz saved Porsche. Modern Porsche is very focused on its hertitage, its DNA, as their PR people like to say, often. The seeds of that whole attitude can be traced back to Schutz. Schutz’ record isn’t without its misseteps, though. His program to develop the 911's air-cooled flat-six engine into an aircraft engine was a $75 million dollar program that produced one of the most advanced reciprocating aircraft engines ever—the Porsche PFM 3200. They sold 80 of them. That’s not great. Still, that’s a pretty small price to pay when you consider all that Schutz did for Porsche, and, you could argue, the premium sports car industry as a whole. He proved that it’s emotion as much as technical features that sell cars, and that’s why passion and excitement are viable business models for sports cars today. So, next time you see and hear and feel a 911 blow by you, give a thought to the man that made sure that still happens.